Explains What Is Cremation jewelry, Urn Jewelry, Memorial Jewelry, Ash Jewelry and All Kinds of Funeral Jewelry. The loss of those closest to us often leaves loved ones with the desire to still feel a physical closeness to the deceased. Cremation jewelry gives family and close friends that are grieving the option to carry a physical reminder of their loved one in a highly private and discreet manner. Created with privacy and discretion in mind, cremation jewelry has an interior compartment that can be filled with a memorial of personal choosing and the compartment will hold approximately 1/8 teaspoon of remembrance. Whether it’s cremated remains, a few strands of hair or ground from the site of burial that is selected as the memorial, the design of the jewelry does not reveal what the interior holds. The memorial is sealed inside the jewelry and the wearer has the option of sharing what is inside or keeping it private. Cremation Jewelry is accessed thru the top threaded bail, or thru a threaded stopper. 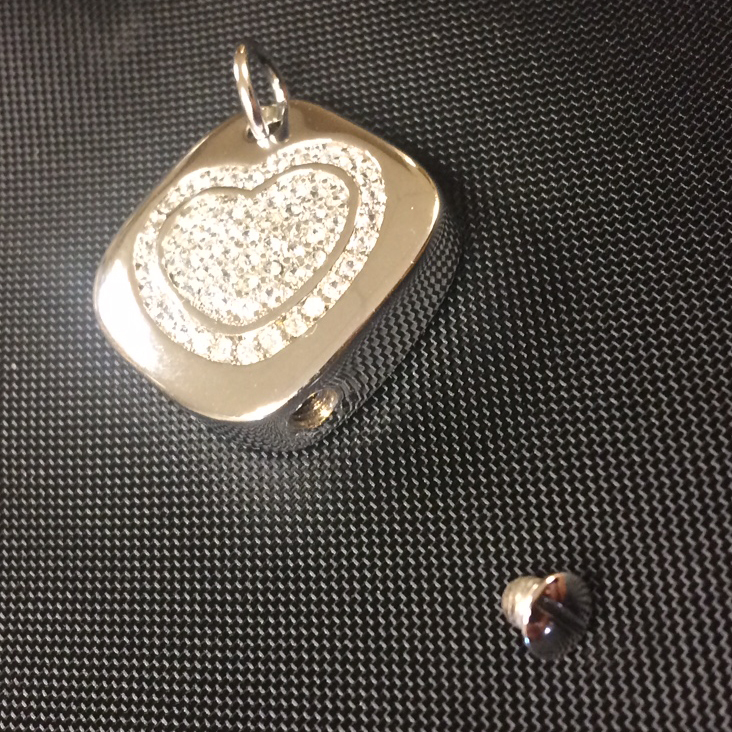 In this example, we show a cut away of the jewelry and a detailed view of the threaded stopper. The threaded stopper is just like a screw, and can be removed to access the inner cavity. A small funnel then used to place the cremated remains inside the jewelry. Cremation jewelry, originally called mourning jewelry, can be traced back into the 16th and 17th century. Mourning jewelry during this time period consisted primarily of rings or brooches that had elaborate white or black enameled heads or skulls somewhere on the jewelry. The white enamel signified the loss of an unmarried individual while black heads or skulls signified the death of a married person. The rings were engraved with pertinent details such as the name, age and dates of birth and death and were given to family and close friends of the deceased. This style of mourning jewelry was called memento mori which is latin for “be mindful of death”. The rings were more prevalent with the wealthy and a sign of social status as well as a symbol of loss. Mourning jewelry became more prevalent in the 18th century, in particular after the loss of Prince Albert of England in the mid 1800’s. 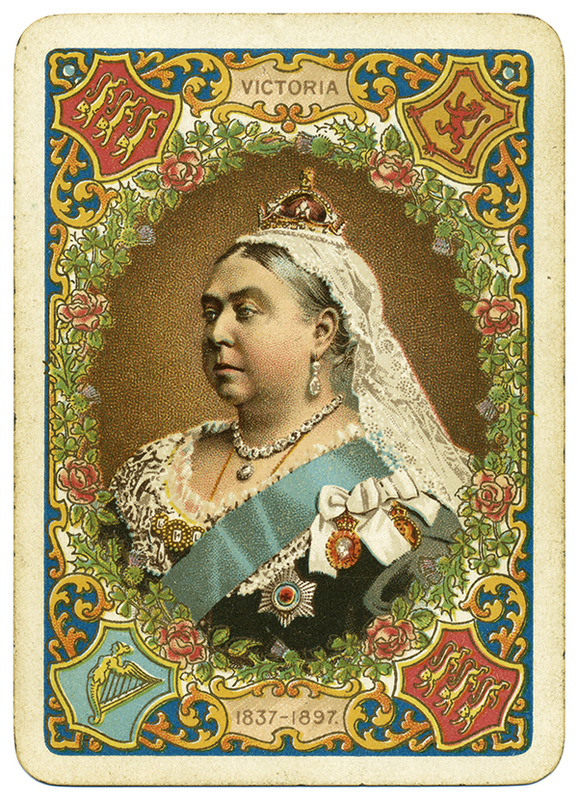 Queen Victoria, the wife of the late Prince Albert of England, went into mourning following his death in 1861. In this 40 year mourning period, Queen Victoria and her court wore elaborate mourning clothes and dark jewelry. The jewelry was typically crafted of dark black wood or onyx and very solemn in nature and was typically the only jewelry worn during the mourning period. Mourning jewelry became much more elaborate and personal as time went on. Locks of hair were incorporated into the jewelry and the hair was braided or woven placed into the locket and worn as a necklace or even a watch fob for the men. The braided or woven strands were also made into intricately designed brooches and then passed down from generation to generation. Today, cremation jewelry is much more intimate and modern and can incorporate actual cremated ashes of the deceased into the body of the pendant. The designs range from simple hearts and crosses to cremation diamonds that are created from the ashes of a loved one. The jewelry has expanded from pendants to rings, bracelets, keychains and more and gives families a personal way to remember a loved one regardless of budget. It’s hard to distinguish who invented cremation jewelry. Throughout history, cremation jewelry or mourning jewelry allowed families to remember their loved ones and the jewelry evolved as time went on. In 1996 someone filed for a patent for a jewelry container for cremation ashes. However, because the owner let the patent lapse any company can now manufacture cremation jewelry. Once a patent is left to lapse, the patent holder no longer owns rights to the invention, and the free market is welcome to produce and market the item. Several people have made changes to the original design of cremation jewelry over time. However, the main element that remains is that the jewelry contains an area inside of it to hold a remembrance. Since the patent has lapsed - cremation jewelry has evolved into two main "types" of jewelry. There are two different ways in which cremation jewelry is crafted. The first way is the bail of the keepsake can be unscrewed to expose the interior compartment. The bail is threaded like the bottom of a screw and by turning the bail to the left with your fingertips, you can remove the bail to add your selected remembrance to the inside of the jewelry. Adhesive is then added to the threads of the bail and the bail is then turned to the right to tighten. A necklace and chain can then be threaded through the bail and worn as normal. 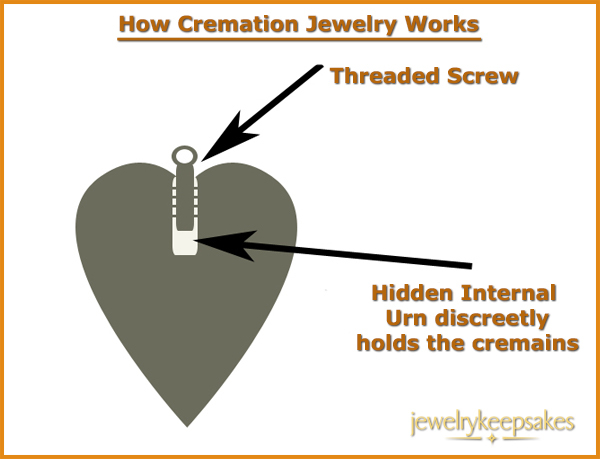 The other way in which cremation jewelry is created is a threaded screw is placed discreetly on the pendant. It may be on the bottom or the back side of the pendant depending on the size and style of the keepsake. 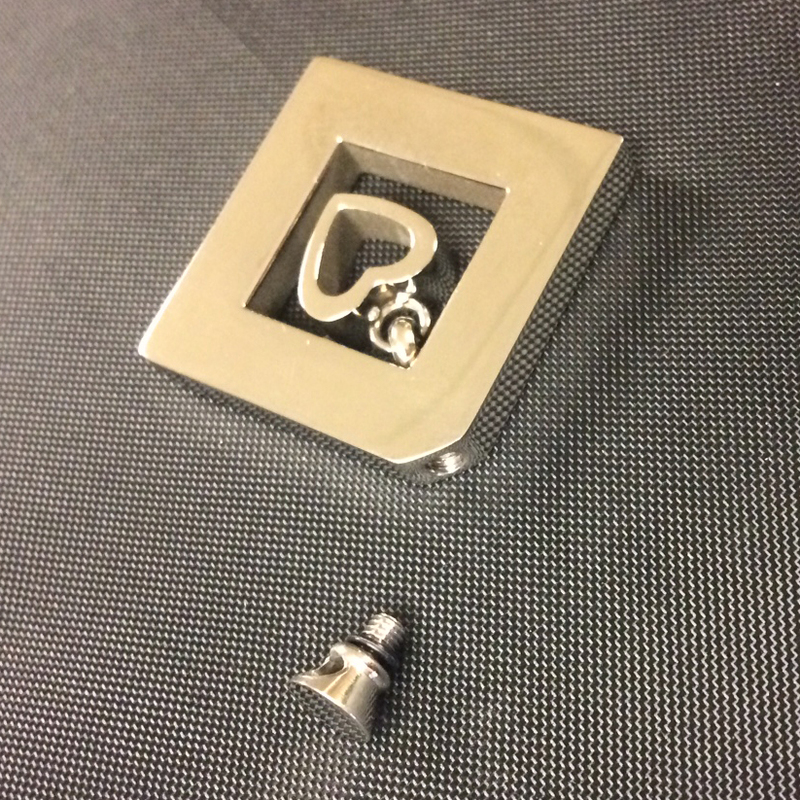 The screw is flush with the face of the pendant and a small flat edge screwdriver is used to remove it. When removed, the interior compartment is exposed and able to be filled. Upon filling, adhesive is applied to the threads of the screw and the screw is tightened flush to the surface of the pendant. Cremation jewelry has evolved over the course of several hundred years. What started as mourning jewelry that symbolized loss in a general manner has grown into intimate and detailed individual pendants, rings, bracelets and more that not only symbolize loss but also are personal to the deceased. What hasn’t changed is the overall concept of having a way to honor and remember those no longer with us and that feeling of devotion and dedication to a memory has carried over from generation to generation and continues to be an important part of the grieving process for families worldwide today.